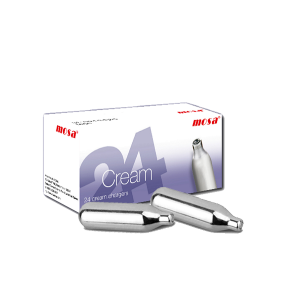 CreamWhip carries high-quality European cream chargers for whipped cream canisters. Each cartridge is 8 grams and is compatible with all modern dispensers and most older ones. 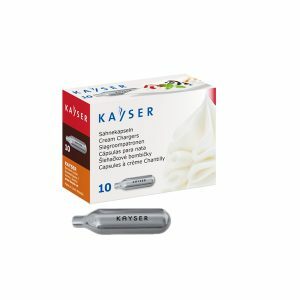 You can depend on these high-end manufacturers to provide the purest, cleanest cream chargers available. 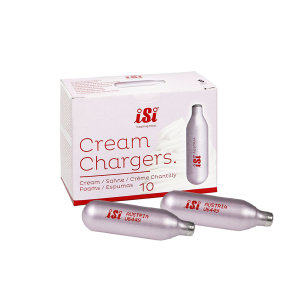 iSi brand cream chargers have been a top-quality, highly sought-after brand for many years. 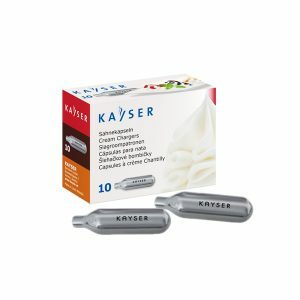 Additionally, we also offer well-known Mosa and Kayser brand products all at economical prices. Whether you are a coffee shop, consumer or an international wholesale distributor, we are committed to working with you.